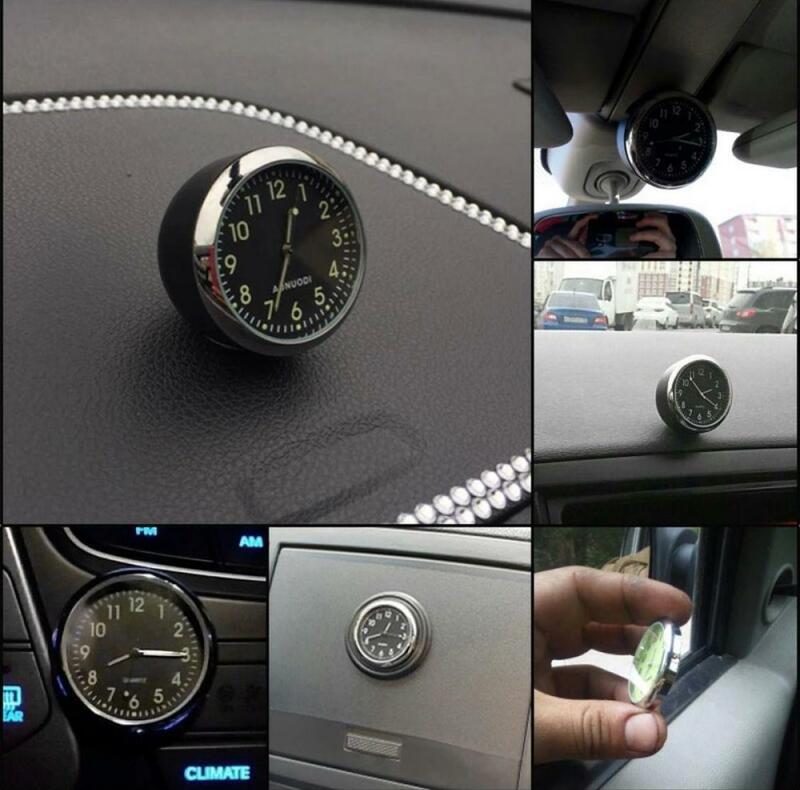 New High Quality Luminous Car Mechanics Quartz Clock Mini Noctilucent Watch Digital Pointer for car styling car clock in car. ​- Smart and beautiful, exquisite workmanship. - Steel movement with high accuracy. - Luminous clock points and digital display. - Glass mirror surface, anti-scratch, high transparency with durability. - Easy to fix, just paste on wherever you want. - Quartz clock, durable and high quality material. - With strong viscous force double-sided adhesive.